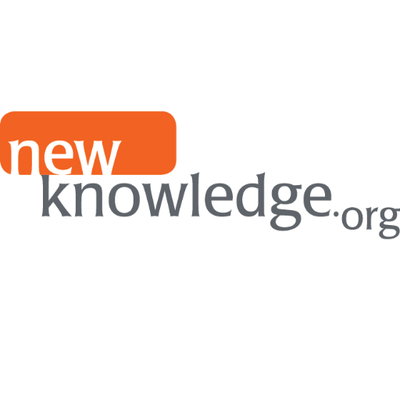 New Knowledge Organization Ltd. is a non-profit research institute founded in 2012 to pursue a deep understanding of how people learn about and engage with society's grand challenges. We are committed to expanding understanding how knowledge about climate change is acquired, advanced in our culture, and how to engage people in positive action to mitigate the problem. As an organization, we seek to promote a strong democracy that enables all people to live to their greatest potential, while contributing at their fullest capacity to the advancement of a just and equitable society that sustains itself in harmony with the biosphere. We are actively working with the NSF funded National Network for Ocean Climate Change Interpretation, NOAA funded The Ocean Project, and the Stroud Water Research Center's Model My Watershed projects, and our President is the Principal Investigator for City as a Living Laboratory for Sustainability in Urban Design. All of which seek to expand engagement with water resources and living sustainably in the face of a changing environment. As an independent research organization, we pursue research to help our partners understand how the public engages with their work, how the community builds knowledge through public discussion, and make recommendations based on sound research practice.